Seoul, South Korea -- What is rationalism? The word is presently in circulation everywhere. It has become a fad. But the term is variedly understood by different people. For a theist, rationalism means atheism; for a religious person, it is heretical; for a scientist, it is something to do with scientific thinking; for a student of philosophy, it is socratean logic; for a psychologist, it is an illogical explanation of a sick person; for a Marxist, it is materialism. But what exactly is rationalism? According to the Oxford Advanced Learner's Dictionary, the word "rational" means "able to reason, not foolish; sensible, lucid or sane." The word "rationalism" means the "practice of testing all religious beliefs and knowledge by reason and logic." The Cambridge International Dictionary of English explains the word "rational" as "showing clear thought or reason." It also explains "rationalism" as "the belief or principle that actions and opinions should be based on reason rather than on emotion or religion." A "rationalist" is defined as "someone whose actions and decisions are based on reason rather than emotions or beliefs." A rationalist always thinks rationally. His thoughts are always based on reason. Rationalism is very near to materialism. Materialism doesn't recognize spiritual existence. Materialism is a system of belief that states that only physical matter exists and the spiritual world does not exist. Materialists do not accept the existence of either God or the Devil. Rationalism does not leave any room for superstitions. 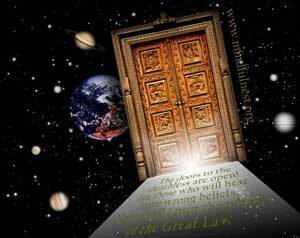 Superstition is the belief in things or events without logical or material evidence. Superstition includes the belief in omens, amulets, witches, devils, ghosts, souls, gods and spirits. These are all believed to exist beyond the perception of common men and without material evidence. Hence, rationalism rejects these. As the rationalists do not believe in the existence of the soul, they do not recognize rebirth. Heaven and Hell is inconsistent in the thoughts of a rationalist. This kind of rationalism is not new or strange. Rationalism is as old as Buddha. Buddha was the earliest rationalist. In his Dhamma, there is no room for superstitions. He refused to speak on the soul, God, devils, ghosts, the origin of earth or mankind, or the afterlife. He considered them inconsistent with his philosophy. He considered discussions on these topics a waste of time. Such discussions, he believed, neither sharpened the wit nor promoted the welfare of his fellow beings. He asked to dwell on what is real and what is relevant for the welfare of mankind. Buddha nowhere took the help of magic or sorcery or miracles. He rejected all superstitious or supernatural methods to preach his Dhamma. He relied solely on intellectual methods like explanation, discussion and persuasion to spread his message. He was never aggressive. He only appealed to the intellect. He never compelled anyone to accept his preaching. He was confident that his Dhamma was rationalistic and based on scientific thinking. So, he asked the people to accept and follow his Dhamma only after they were convinced that it was right and useful to one and all. He gave them the freedom to enter Dhamma when they thought it the right path and leave it when they thought it was wrong. He wanted them to rely solely on their reason and not to be wavered by the opinion of anyone including himself. Buddha's Dhamma is based on rationalism. 4. His concept of Karma, rebirth, Ahimsa. 5. 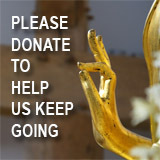 His refusal to take the help of miracles to spread Dhamma. This is the first of the eight-fold path. It means right view. It means having a right view of the world. Samma Ditti is to know reality rightly, free from superstition, ignorance, illusions, etc. It is to know truth as truth and untruth as untruth, to know the world as it is and not as it appears to our eyes. "The end of Samma Ditti is the destruction of avijia (Nescience). It is opposed to Michcha Ditti." Samma Ditti is opposed to Nescience; hence, it supports right understanding of the world based on scientific method. In Kalama Sutta, we come across Buddha's yardstick, which he gives to the people to judge his own preaching. Sometimes, the laymen doubt whether a word that is supposed to have been preached by Buddha was truly preached by Buddha or not. In such a situation, how can a layman find out its authenticity? Speaking on this topic Buddha says, "Come, o Kalamas, do not be led by hearsay, nor by tradition, nor by reports, nor by scriptural injunction, nor by logic, nor by inference, nor by the appearances, nor by seeming possibilities, nor by the consideration, 'this monk is our teacher.' But Kalamas, when you know for yourselves: These things are unwholesome, and blame worthy, unprofitable and censored by the wise, and when acted upon, these lead to harm and misery, then do you reject them." 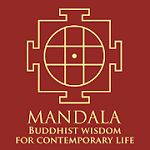 In Dhammapada the verses stress culture of mind. The first verse itself begins with a stress on the fact that mind is the basis of all religion. The sorrow follows the actions as a track follows the cart wheel. Hence, Dhammapada calls for restraint and cultivation of mind. It asks a Buddhist to exercise his judgment to ascertain what is right and what is wrong. All theistic religions believe that the soul exists independent of the material physique. Our material physique is considered by them as a house in which the soul dwells. But Buddha rejects the existence of soul. Hence, the theory of rebirth falls to ground because without transmigration of soul there can't be rebirth. But yet, Buddha uses the words "rebirth" and "'karma" but without soul. How can there be rebirth without soul? He says that rebirth of a person is by his seed as a mango tree finds its rebirth from its seed in the form of a young tree. Buddha's concept is purely scientific. Similarly, according to theists, "karma" means the actions done in our previous births but they take effect in our present birth. We cannot control such effects of karma. We have to suffer it helplessly. But Buddha says that karma cannot extend beyond one birth. It takes effect in the same birth itself. His "karma" is nothing but the principle of cause and effect. An example: A theft results in the arrest of the thief. The thief cannot escape his arrest and punishment. The arrest cannot wait until his next birth. In this way, effect follows the cause surely without fail in this birth itself, just as a cartwheel follows the steps of the horse. The "ahimsa" (nonviolence) of Buddha is entirely different from the "ahimsa" of Jainism. "It is quite clear that Buddha meant to make a distinction between will to kill and need to kill. He did not ban killing where there was nothing but the will to kill. So, understood there is no confusion in the Buddhist doctrine of Ahimsa." A soldier killing enemies in war is an example of a need to kill. So is killing bacteria to save a sick person. But hunting animals for pleasure is exhibiting a will to kill. While sending his Bhikkus to spread the Dhamma he instructed them not to take the help of miracles and he himself neither performed any miracles nor spoke of the supernatural. He never offered to speak on the origin of the universe. This shows that he never thought of deceiving innocent people. He never made false promises. If he had taken the help of miracles, people would not have remembered him now as a great rationalist. And he would not have influenced human thinking as he has done. He never claimed his Dhamma as divine or never arrogated to himself the position of God or God's messenger or God's son. His Dhamma was not a revealed one. "It was his own reasoning which had hammered out a doctrine of his own evolving and of his personal invention such that whoso hears it preached for his good has only to act up to it to be guided to the utter ending of ill."
Hence, we can hail Buddha as the foremost and greatest rational thinker mankind ever saw on this earth. Much research is yet to be done on the influence of Buddha on Western thinkers starting from the age of reason of Greece -- in the third century B.C., Ashoka the Great sent Buddhist messengers not only to different parts of Asia but also to other civilizations that flourished at that time, including Greece, Persia, Egypt and Rome. In time, the bond between Buddhism and science may thicken so much that a day may come when all the superstitious, narrow-minded, theist and barbaric religions unite and wage a religious Armageddon on Buddhism only to be defeated and banished out of this earth by the combined forces of Buddhism and science. Long live the alliance of Buddhism and true science.